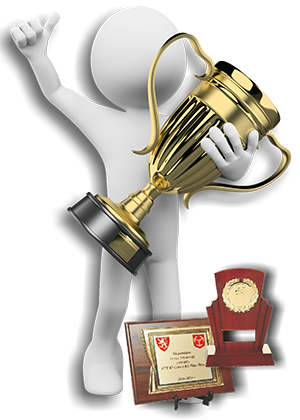 Our offer includes cups, sports statuettes, medals, wooden base and occasional certificates, glass statuettes. Business aspect of cups, statuettes and medals is a way to clinch a position on the market. A grand cup with the name of the event will surely make a great impression on everybody and placed in the showcase, it will also memorialise the event for a long time.